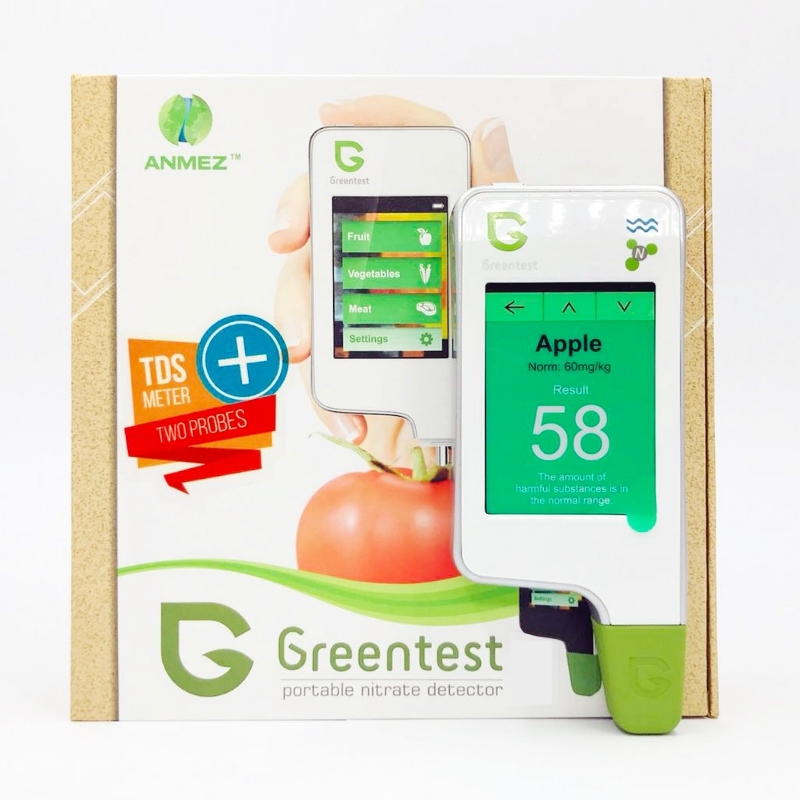 GREENTEST 3 helps you to determine the quality and safety of your fruit, vegetables, meat and water. 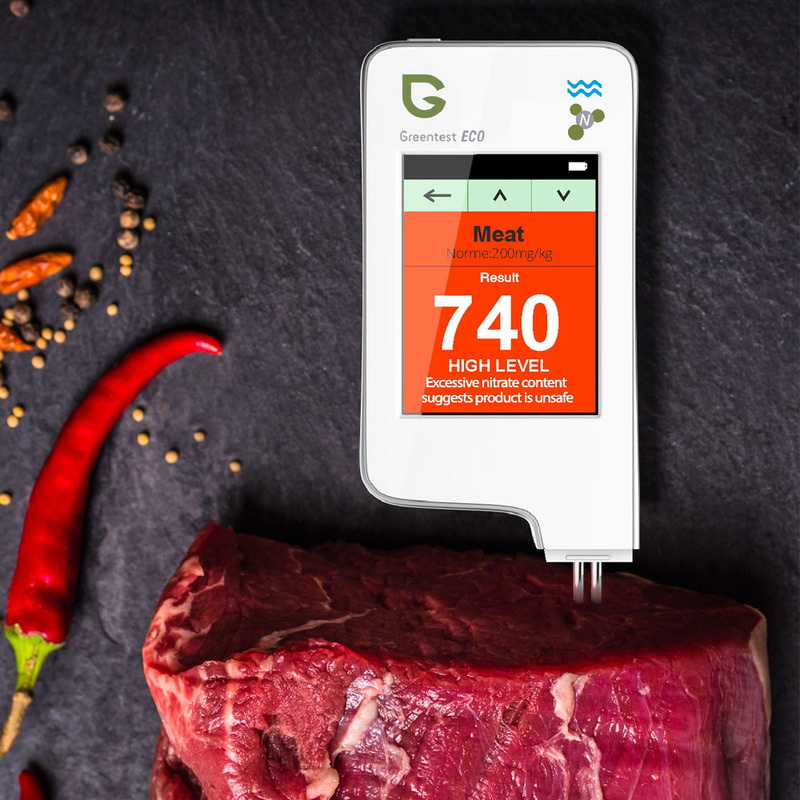 The unique 2-in-1, dual-probe device detects nitrate levels in fruit, vegetables, meat and fish as well as the total dissolved solids (TDS) in water (or water hardness). 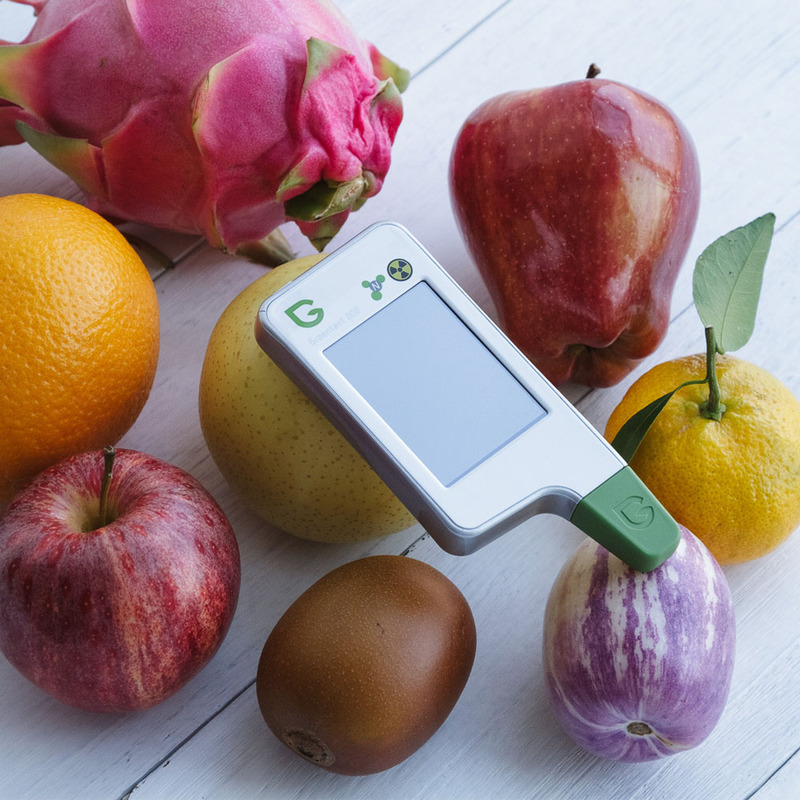 With GREENTEST 3 not only can you determine the nitrate safety levels of all types of meat and 64 of the most commonly consumed fruit and vegetables, but also the safety and quality of your drinking water. 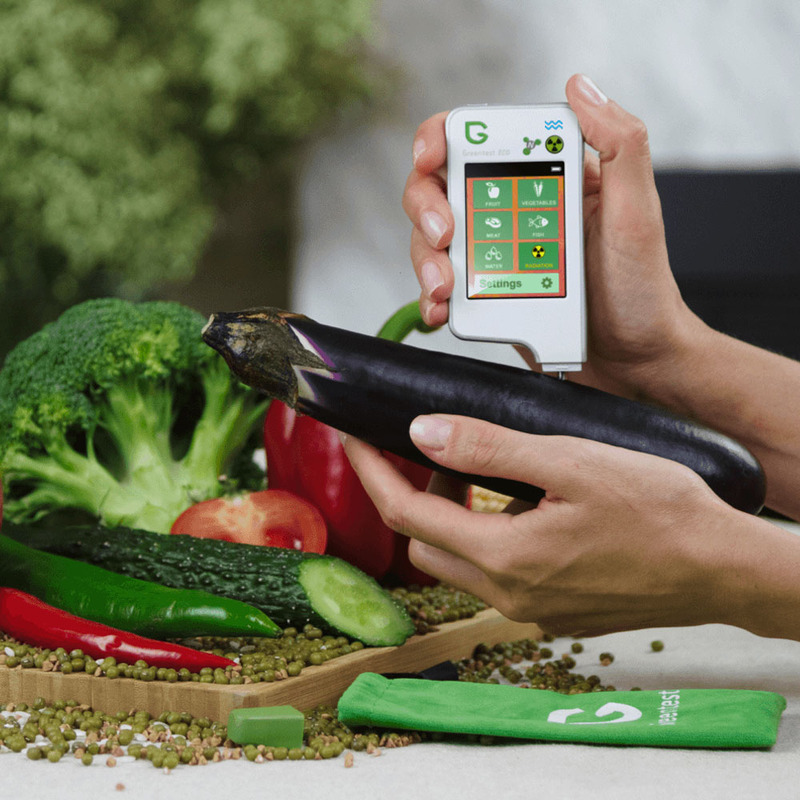 Portable, compact and lightweight: Greentest3 is designed with your convenience in mind. 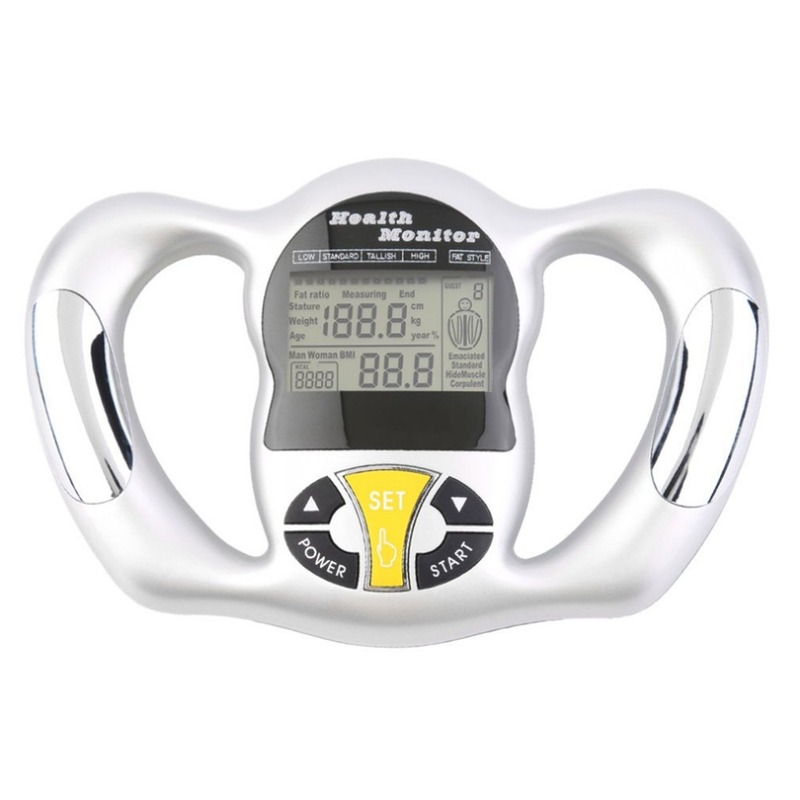 The compact and lightweight device is small enough to fit into your pocket or easily carried in your bag to take with you wherever you go. 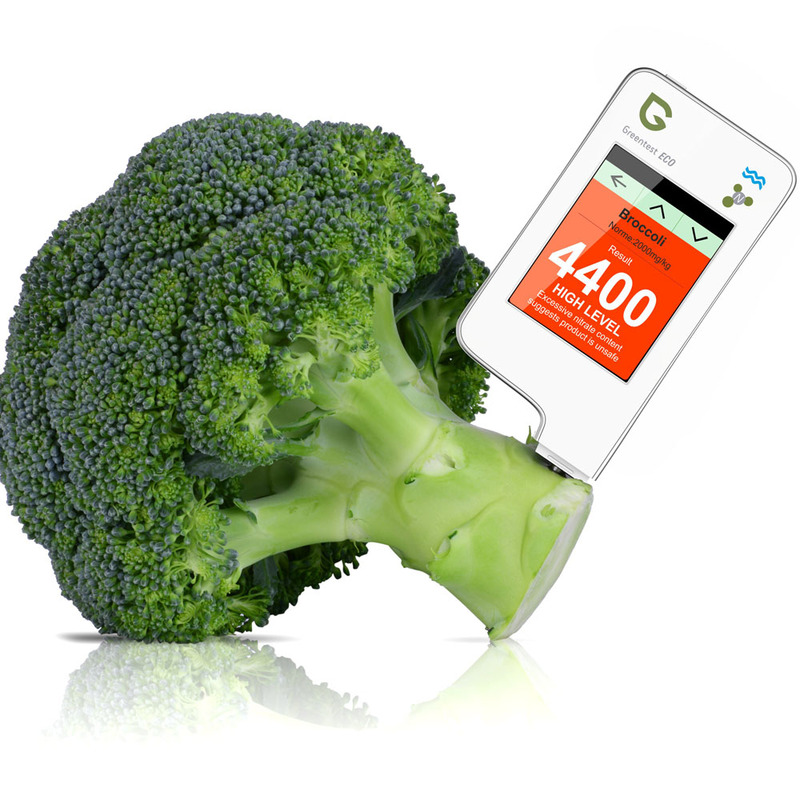 Easy to use interface: Greentest3’s high resolution color display provides an easy to use interface for our unique and intuitive nitrate and water TDS testing software, allowing you to quickly view the quality and safety of your fruit, vegetables, meat and water. 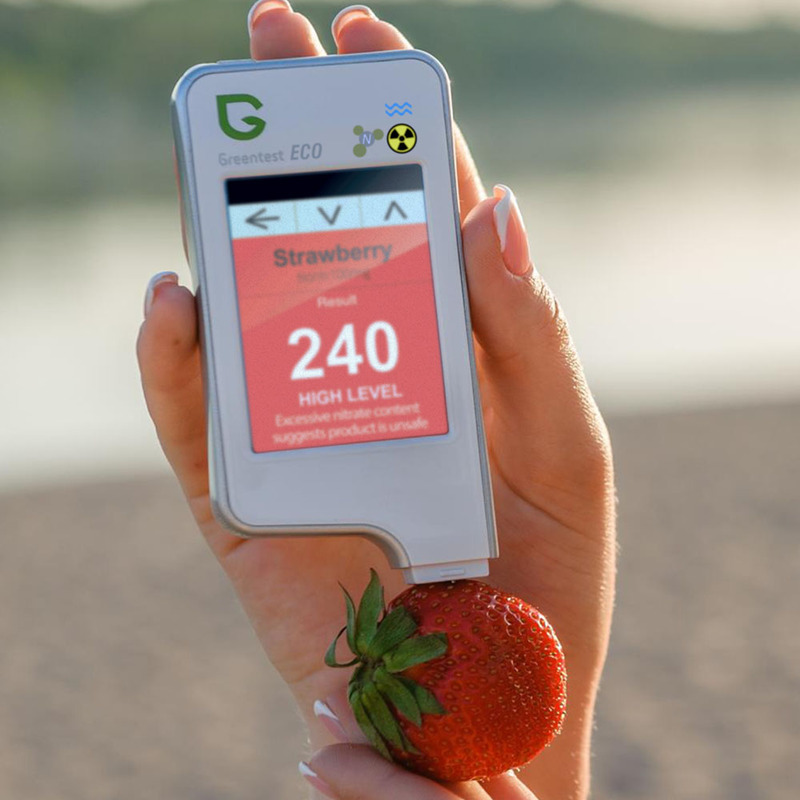 Fast and accurate results: Greentest3 displays your nitrate and water TDS test results in just 3 seconds with less than 10% margin of error. 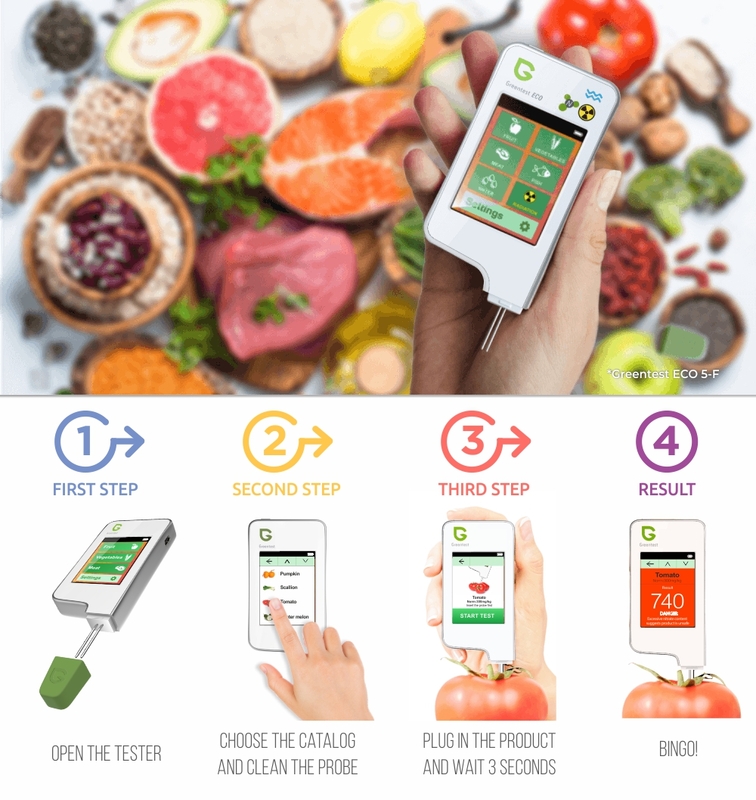 Dual test probe: The unique dual test probes are easily inserted into fruit, vegetables and meat to test for nitrate levels while causing the least damage to your food. 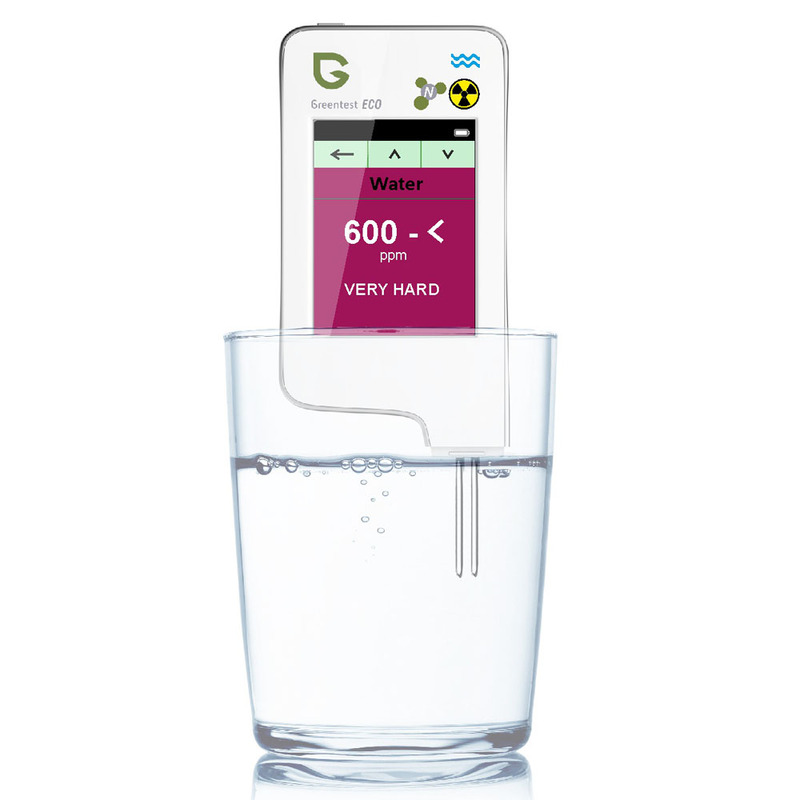 Alternatively hold the probes in standing water to test the TDS level of water and determine the quality and safety of your drinking water. 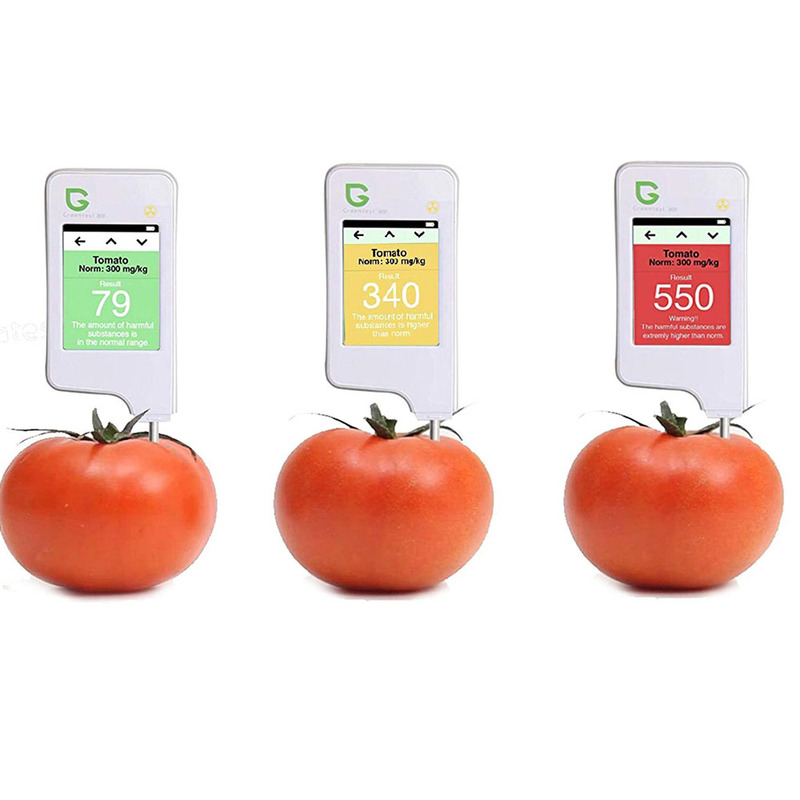 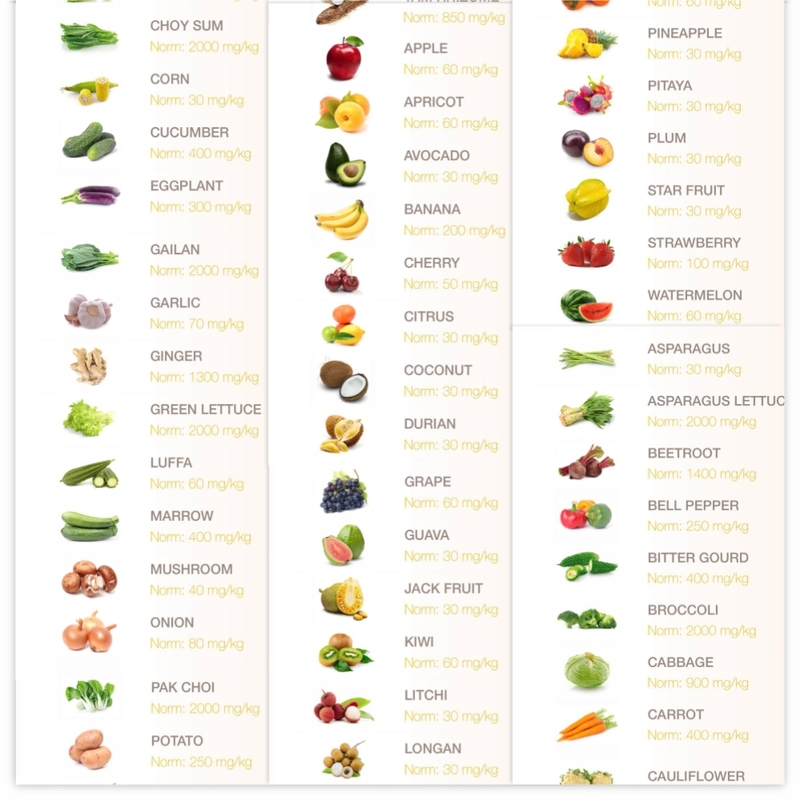 ​measuring nitrates in vegetables, fruit and meat products, also it can check water hardness (TDS meter). 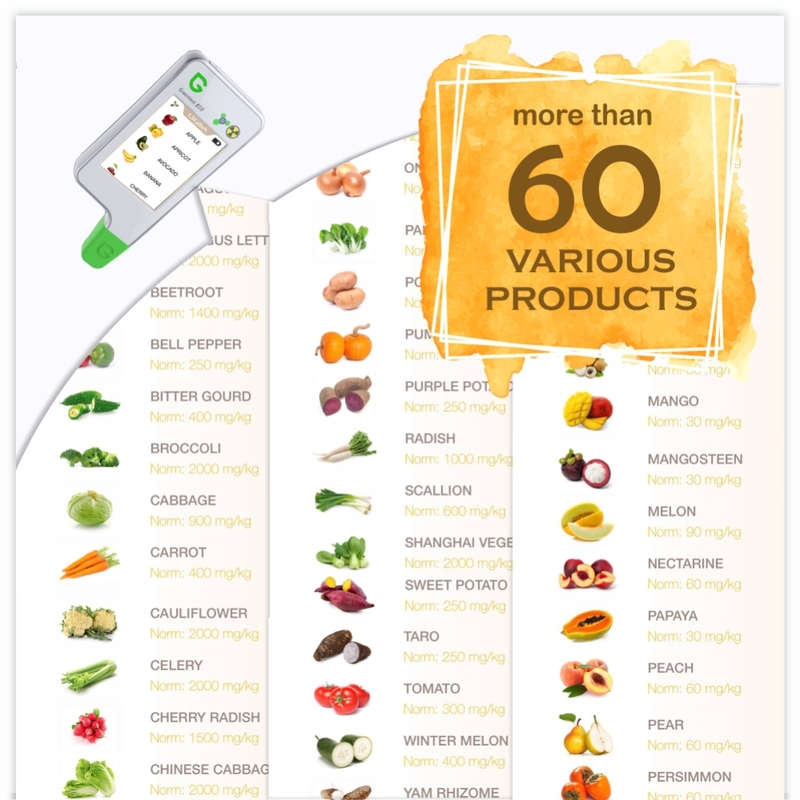 Product warranty: two-year product warranty for EU countries and one-year product warranty for all other countries. 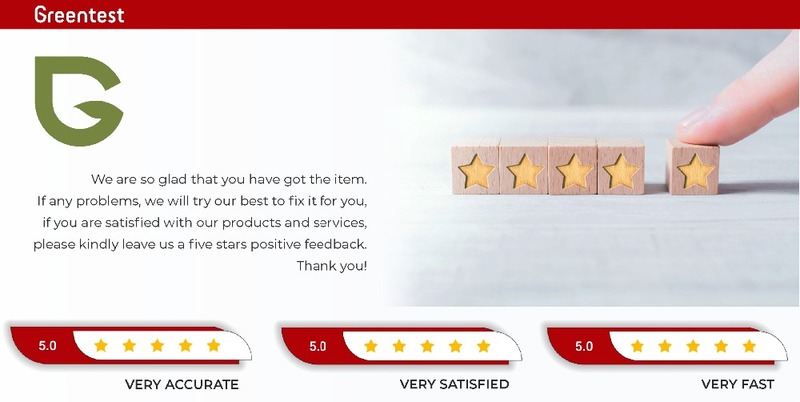 Delivery: Delivery costs are included in the price of the product, but ​since the customs of different countries have different policies, you may be required to pay tax on your purchase. 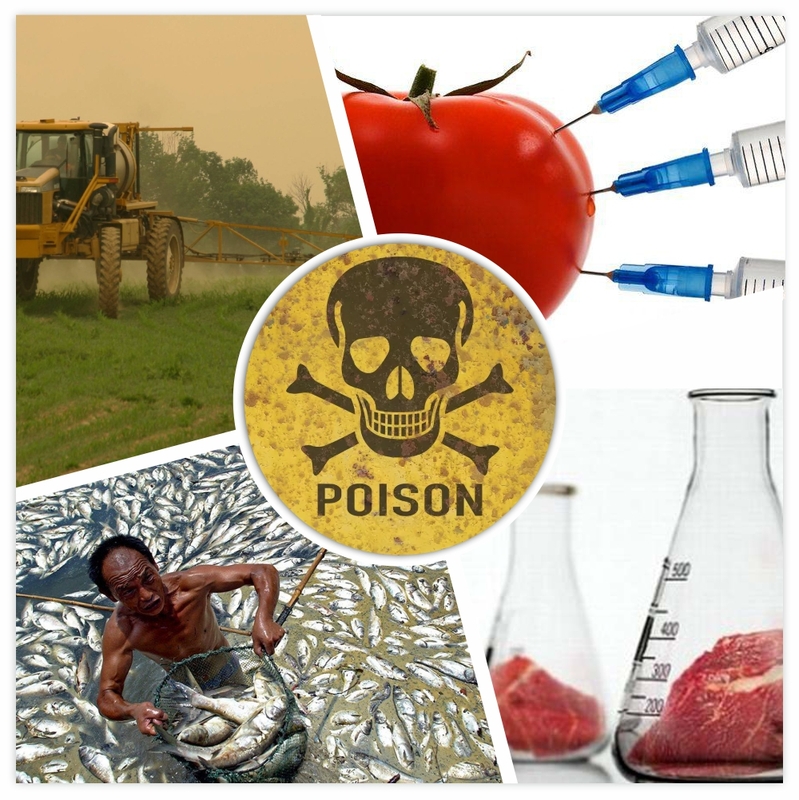 If you would like to get more information about taxes, please consult your local custom services. 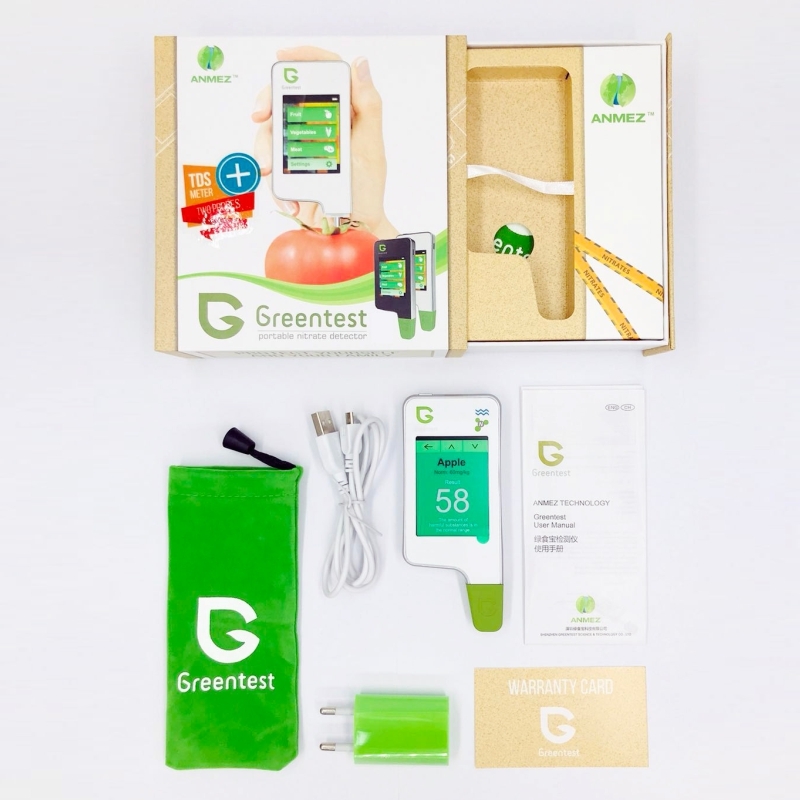 Online product verification: ensure that you have an official Greentest device by using our convenient online verification service. 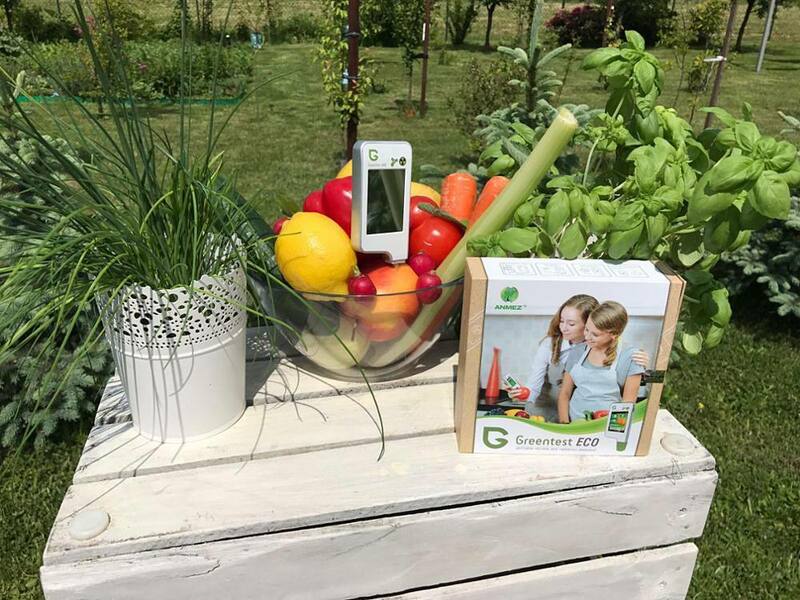 Customer support: customer support service available at our Store - Greentest Official Store.